At What Age Should Children Visit An Orthodontist Near Allentown, PA? 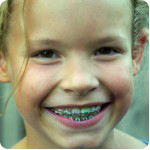 Let’s address a common question parents in Allentown, PA have when considering orthodontics for their children. “When is the best time to have my child evaluated by an Allentown orthodontist?” Before you begin researching … award-winning orthodontist near Allentown, PA, Dr. Jason Hartman would like to answer that question for you. Orthodontics is about realigning your teeth into a beautiful smile, aka… moving your teeth from where they are, to where you want them to be. 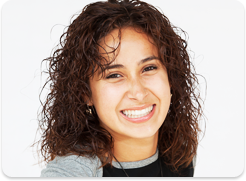 Anyone can undergo orthodontic treatment at any point in their lives. However, there are certain timelines that are more advantageous than others when moving teeth, especially during juvenile and adolescent growth spurts (age 8 – 12 years). As an example, think about a car without power steering. Can you turn the wheel when the car isn’t moving? Yes, but it requires much more effort than when the car is moving. During growth, teeth and jaw growth are developing. It’s much easier for an Allentown orthodontist to guide natural jaw growth into a perfect smile or make room for teeth as they develop. The American Association of Orthodontists recommends that your child be examined by an orthodontist at age 7 to determine if early orthodontic treatment is needed. To become an orthodontist, it requires an additional 3 years of training beyond a general dental degree in the study of tooth movement and jaw growth. It’s important to have a licensed Allentown orthodontist in analyze the “forecasting clues” when evaluating a patient of any age. It is not necessary to be referred by your general dentist for a complimentary orthodontic evaluation with Dr. Hartman, an award-winning orthodontist near Allentown, PA. Be proactive and contact our orthodontic office in Bethlehem, PA to schedule a complimentary smile exam. If your child is not a candidate for early treatment, we will continue to monitor your child’s dental and jaw growth development in our complimentary supervisory program to determine the right time to intervene and begin braces, if required, at the proper time. This information is not meant as medical advice. It is provided solely for education. Our orthodontic office near Allentown, PA would be pleased to discuss your unique circumstances and needs as they relate to these topics. Dr. Jason Hartman, award-winning orthodontist near Allentown, PA offers the most advanced braces for children, teens and adults, including Invisalign, clear ceramic braces, metal braces and orthodontics. 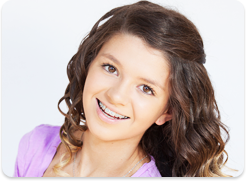 Contact us today for a complimentary consultation and exam for braces at one of our orthodontic offices in PA. With nine convenient orthodontic offices located in Bethlehem, PA, Schuylkill Haven, PA, Temple, PA, Schnecksville, PA, Lancaster, PA, York, PA, Hazleton, PA, Danville, PA and Freeland, PA, there is sure to be an office conveniently located near you. Start your journey to your confident smile today!